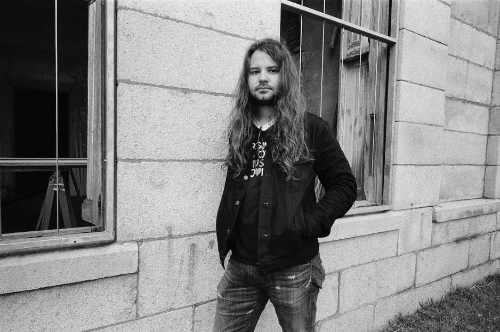 Brent Cobb’s new single ‘Ain’t A Road Too Long’ premiered on NPR Music. The track can be heard HERE and is available to purchase HERE (Low Country Sound/Elektra Records/Atlantic Records). Brent debuted the song at last night’s Americana Honors & Awards show at Nashville’s historic Ryman Auditorium, where he was up for Emerging Artist of the Year. Produced by Grammy Award-winning producer Dave Cobb, ‘Ain’t A Road Too Long’ is the first new music from Brent since last year’s widely acclaimed debut album, Shine On Rainy Day. The single also culminates “Long Live the Storytellers”—a new documentary-style video series created by Ram Trucks and filmed in Nashville with director Greg ‘Freddy’ Camalier (Muscle Shoals). Watch the previous episodes here: EPISODE ONE, EPISODE TWO and EPISODE THREE. After recently wrapping a sold-out European tour, Brent is currently on tour as part of Chris Stapleton’s All-American Road Show and will cap-off 2017 with a special New Year’s Eve concert at Macon’s Cox Capitol Theatre. Full details can be found here.